This Cosy Chair is a comfortable size for a bedroom chair or occasional chair. This Cosy Chair is a comfortable size for a bedroom chair or occasional chair. 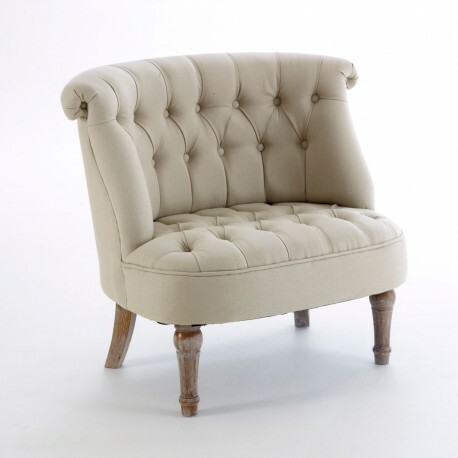 With a linen cotton mix upholstery in a buttoned back and seat you have a comfy and stylish chair. A solid wood frame and legs make the chair long lasting, the turned front legs add a style for any setting. Once delivered the chair will need a small bit of assembly to bolt the legs in place, all instructions are included. Great for a relaxed conservatory chair or in a bedroom to have a seat or just throw your clothes on.